Ravindra Bhat And R.V Easwar, JJ. “(1) Whether the Tribunal was justified in holding that the sum of Rs. 5 lakhs was capital in nature and was not revenue expenditure that could properly be deducted ? 2. Briefly, the facts are that the assessee was carrying on hospitality business, i.e., managing a hotel. It had claimed-during the relevant time in its return for the assessment year 1989-90-a sum of Rs. 10,30,253 towards building repairs and expenses. The Assessing Officer compared this sum with the amounts claimed in the previous years and sought an explanation. The assessee states that it had undertaken extensive repairs on the ground floor, removed walls in the rear room and constructed a bar. According to it, the changes were essential to increase the sitting capacity in the bar and the expenses did not bring into existence any new asset but was to enhance its profit yielding capacity and, therefore, ought not to be considered as capital. The Assessing Officer accepted the explanation in part but added Rs. 5 lakhs which, according to him, was capital in nature. The assessee appealed to the Commissioner of Income-tax (Appeals) (“the CIT(A)”), which found that the Assessing Officer was not justified in treating half the expenditure as capital merely because some walls were removed and sitting capacity in the bar was increased. After carrying an inspection and relying upon various decisions, the Commissioner of Income-tax (Appeals) held that the expenditure was revenue expenditure and set aside the findings of the Assessing Officer. 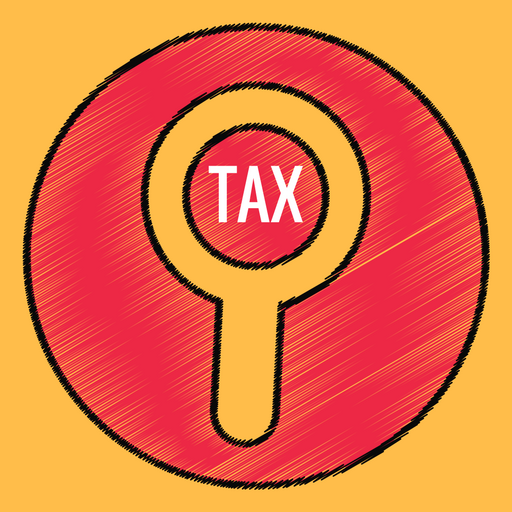 The Revenue carried the matter in appeal to the Income-tax Appellate Tribunal (“the ITAT”). The Income-tax Appellate Tribunal, in its impugned order, held that the reversal by the Commissioner of Income-tax (Appeals) of Rs. 5 lakhs addition was not justified. It relied upon the judgment in Ballimal Naval Kishore v. CIT  224 ITR 414/90 Taxman 402 (SC) and restored the disallowance to the extent held by the Assessing Officer. 3. Counsel for the assessee-appellant argues that the reasoning of both the Assessing Officer and the Income-tax Appellate Tribunal is flawed because there is no indication as to why even the 50 per cent. that was allowed should be treated as revenue expenditure given the nature of the construction. It was argued in this regard that the entire expenses had to be treated in the revenue stream because it merely enhanced the income generating capacity of the assessee and did not in any manner create any new asset. Learned counsel relied upon the decision in Empire Jute Co. Ltd. v. CIT  124 ITR 1/3 Taxman 69 (SC) and the decision of a Division Bench of this court in Instalment Supply (P.) Ltd. v. CIT  149 ITR 52/17 Taxman 172. 4. Counsel for the Revenue, on the other hand, submitted that the facts in Ballimal Naval Kishore (supra) were closer to the facts of this case and that the impugned order cannot be characterised as unreasonable. He also relied upon the Madras High Court ruling in CIT v. Ooty Dasaprakash  237 ITR 902/ 110 Taxman 275. 5. In our opinion, in this case, the Income-tax Appellate Tribunal has not adequately dealt with the reasoning of the Commissioner of Income-tax (Appeals) who had, in fact, carried out the site inspection after which he held that the entire expenses had to be treated as revenue expenditure. We also notice that the Income-tax Appellate Tribunal does not clearly point to the creation of any new asset. Rather, it is only the sitting capacity of the existing bar that was increased with the renovation carried out. Considering these factors, the ratio in Empire Jute Co. Ltd.’s case (supra) that an action that merely facilitates the assessee’s business (making it more profitable), whilst leaving the fixed capital untouched, is squarely applicable. 6. For these reasons, the first question framed has to be answered in favour of the assessee. 7. The second question, i.e., depreciation at 100 per cent. of roofing was claimed by the assessee on the basis that the construction was temporary in nature. The Assessing Officer disallowed this on the assumption that the construction included two sets of toilets and that it involved the use of marble and false ceiling. The Tribunal was persuaded to uphold this view more or less on the strength of the same reasoning, i.e., use of marble glaze tiles and false ceiling. This court is of the opinion that the materials on record show that the construction was not authorised and appears to have been put up only for the convenience of workers who were engaged by the assessee. The record also indicates that the constructions were subsequently demolished-although after the Commissioner’s order. In these circumstances, the depreciation claimed to the tune of 100 per cent. cannot be termed so unreasonable as to warrant reversal of the Commissioner of Income-tax (Appeals)’s view. 8. This question is also answered in favour of the assessee and against the Revenue. 9. In view of the above findings, the appeal is hereby allowed without any order as to costs. This entry was posted in Sec. 37(1), Section 32 and tagged 363 ITR, Delhi High Court, depreciation allowance, In favour of Assessee.